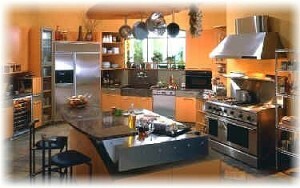 Cody’s Appliance Repair offers expert GE appliance repair services throughout the Treasure Valley. We are GE factory authorized for all of your GE products including refrigerators, stoves, ovens, dishwashers, washers, dryers, freezers, and more! Give us a call to schedule service today. Cody’s Appliance Repair is fully trained in all GE’s major household appliances. What that means for you is that we are trained, vetted, background checked, and undergo continual education on their products. We also have access to technical information that most servicers do not. That may make the difference between having your appliance repaired immediately, the right way, or running the hamster wheel with a company that is not knowledgeable with their products. Give us a call today! We are here to help. If you live in Boise, Eagle, Meridian, Nampa, Caldwell, Star, Middleton, Garden City, Emmett, Kuna or Horse Shoe Bend, call us at (208)938-1066 today or send us a service request right from our website. Let our family take care of your family! American inventor Thomas Edison created Edison General Electric as an umbrella under which he merged all his business interests. In 1892, Edison’s company merged with electrical innovators the Thomas-Houston Company to form General Electric. General Electric (GE) mass marketed its first appliance, the electric fan, soon after the company was formed in the 1890s. The company created its first full line of heating and cooking devices in 1907. From then until now, they continue to be front runners in innovation for in-home appliances.